My God, what an incredible film. 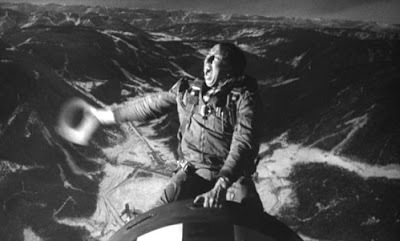 I recently proclaimed Stanley Kubrick to be the greatest filmmaker of all time, and then became troubled by one major blind spot from his filmography that still existed: Dr. Strangelove or: How I Learned to Stop Worrying and Love the Bomb. I had heard so many great things over the course of my entire life regarding this film, and yet somehow it had eluded me for this long. This afternoon I found myself alone in my home, remote in hand with seemingly thousands of options to choose from, but I knew what I had to do. It was time to pull myself one step closer to the goal of having the entire career of Kubrick locked inside my mind, iconic imagery and amazing performances and the most brilliant direction I could comprehend bouncing around there each day to keep me entertained when stuck inside the lifeless environment of my employer for 40 hours a week. 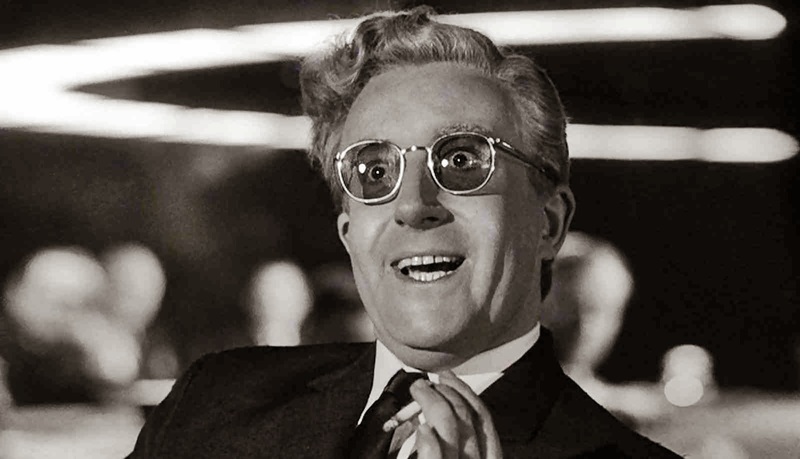 Dr. Strangelove is just so damn funny, filled with memorable characters and the performers that play them give them such life and presence. Peter Sellers plays multiple roles and each one is just so wonderful. George C. Scott as General Buck Turgidson steals every scene he is in, with even the smallest touches like the widening of his eyes in reaction to others' words proving the perfection of his comedic timing. I couldn't get enough of my brief visit to this world, and everything I had heard over the years proved to be beyond true. Even though I anticipated loving it, I loved it even more than I could have imagined. A war satire unlike any other, a film that still plays beautifully not only in comedic terms but in relevancy on its 50 year anniversary. The idea of the total loss of human life has never and could never again be so funny. Dr. Strangelove is a flat out masterpiece.